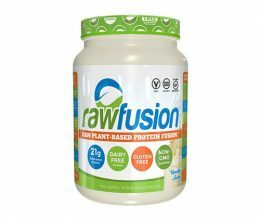 Home / Shop / Vegan Protein Formulas / Organic Protein – 2lb, PlantFusion. 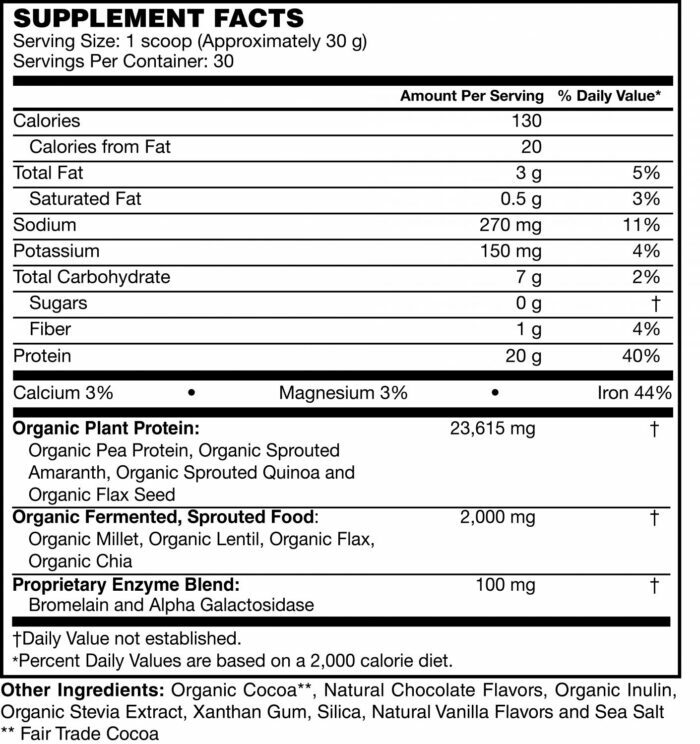 Organic Plant Protein 2lb – 30 servings. 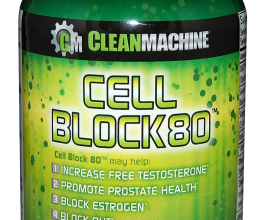 3.6g BCAA and 3mg Glutamine per serving. 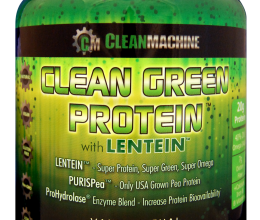 Multi sourced complete protein from peas, amaranth, quinoa, and flax. People are obsessed with protein, and why not? It’s critical for optimal health! But more is not always better. 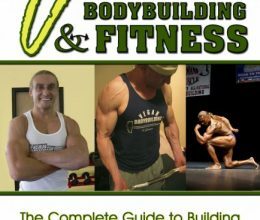 How much protein you consume is not as important as how much protein your body can actually digest and absorb. A healthy digestive system is the gateway to your body and will determine the benefits you receive from your protein supplement (or any food you consume). 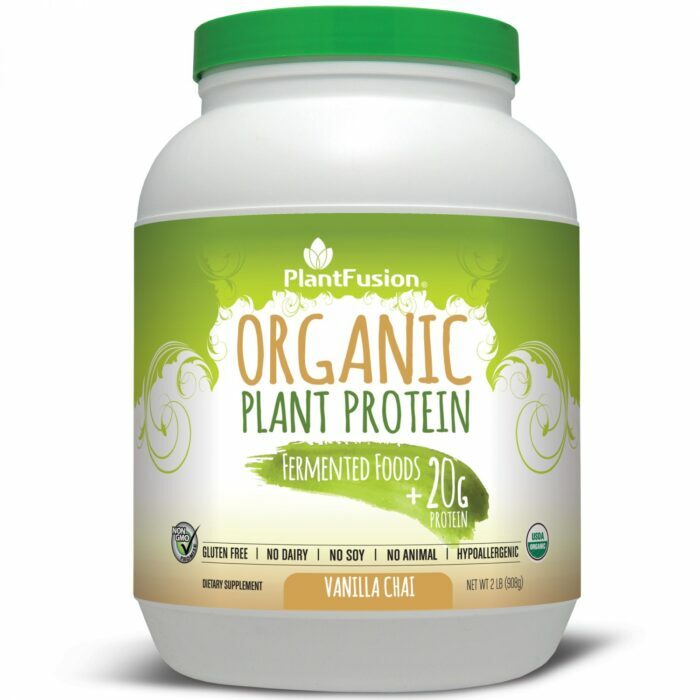 PlantFusion Organic Protein includes a healthy dose of fermented foods to supercharge your digestion with a full spectrum of natural food-based probiotics and enzymes for better overall nutrient digestion and absorption. Bottom line……….you get a whole lot more out of your protein shake than ever before! 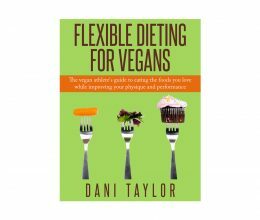 The answer is fermented foods, which have soared in popularity as people take advantage of their ability to improve digestive health and overall well-being. 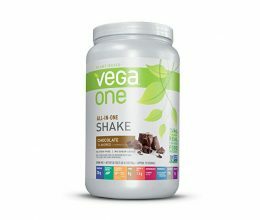 Digestive issues often are the # 1 difficulty people experience with protein shakes. Symptoms range from bloating, to gassiness, and even serious cramps. No matter how it may feel, this is your body’s way of telling you that it does not have the necessary tools to properly digest and effectively use the proteins consumed. 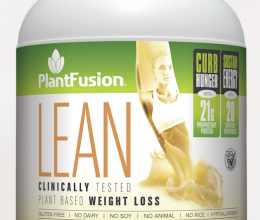 The proprietary fermented foods blend in PlantFusion Organic Protein gives your body the metabolic toolbox needed to actively break down the proteins into shorter peptides and amino acids for easier, more efficient use by the body. At the same time, the active cultures help normalize the balance of flora in your digestive tract for better overall digestive health. It’s the “natural vs isolated” debate. 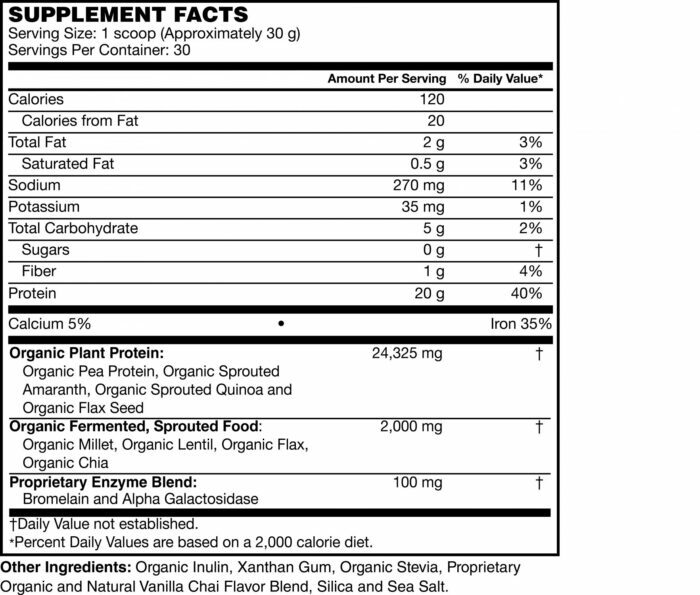 Should my supplemental nutrients be isolated and synthesized in a lab? Should my supplemental nutrients be derived from natural whole organic foods? 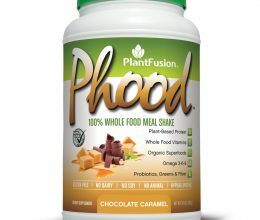 At PlantFusion, we naturally prefer “the whole food” approach. So instead of using high doses of a few strains of isolated probiotics, we use living fermented foods which contain hundreds of strains of probiotics, enzymes and natural cofactors, just as they exist in nature. 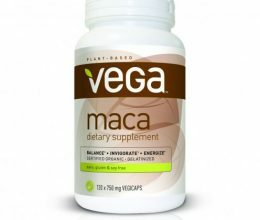 The end result is a broader range of beneficial bacteria to support digestion in a way that you can actually feel. 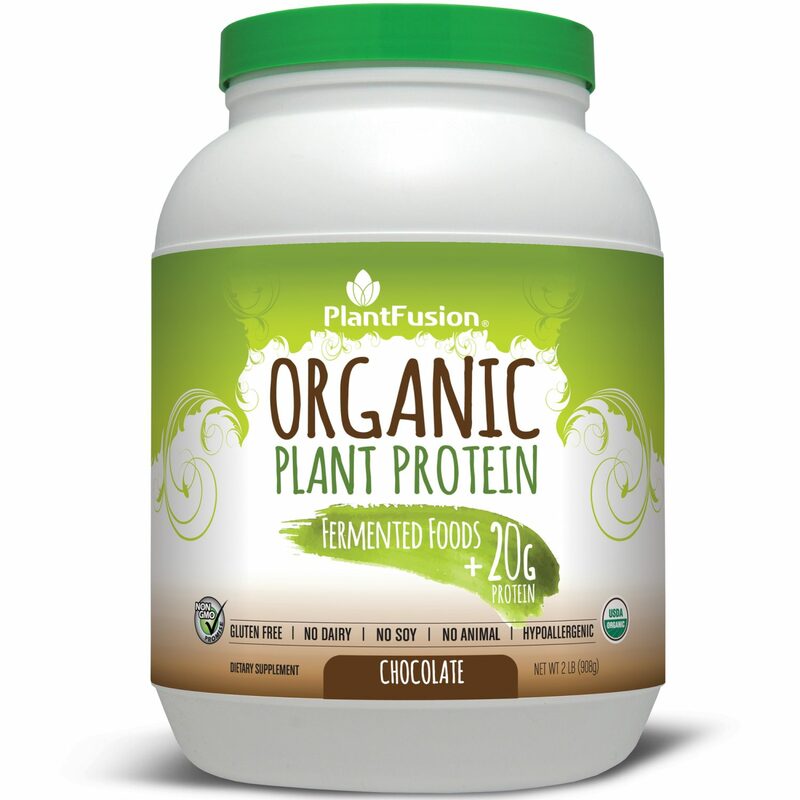 1 review for Organic Protein – 2lb, PlantFusion. I love this stuff! 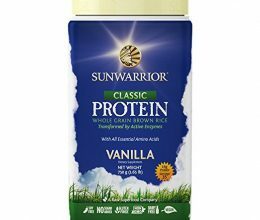 I’m usually very sensitive to protein powders or any type of supplement in general. 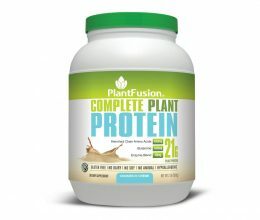 I bloat very easily and have a lot of trouble digesting things like beans and legumes, but after I started drinking the Plant Fusion protein powder I noticed a big change in my digestion and I had no bad reactions to the powder either. I bloat a lot less and I’v only been drinking it for a week. I really like that it’s made with fermented foods and that it’s filling. 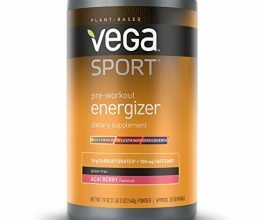 I usually throw it into my morning smoothie and it tastes great. Thinking of making some protein waffles with it next! Yum. Totally would recommend this product!